Drone use has expanded substantially since implementation of the small aircraft rule. Estimates suggest there may be upwards of 400,000 recreational drones in Minnesota, alongside more than 2,500 non-recreational drones. As an airport manager, you can expect to receive many calls about drones and drone operation. Recreational drone users are required by federal regulation to contact you prior to flight if their flight will be within 5 miles of your airport. Additionally, you are likely to be contacted by commercial and government drone operators intending to operate near your airport. MnDOT recommends that you keep a record of preflight notifications. We have created an optional form for this purpose. The purpose of a drone pilot contacting an airport is to make sure that pilots of manned aircraft are made aware of the drone operation. This improves safety of flight. The best way for airport operators to inform pilots of safety related information is to issue a NOTAM. If the airport phone number published in the Airport Directory and Travel Guide, or other online resources, is not answered 24-hrs a day, consider establishing a process for drone operators to notify airport users of upcoming activity. This process should be publicized on the airport and community’s website, bulletin boards, or other places that local drone users can be contacted. Not all drone operators are required to contact an airport before flying in the area. However, drones are always required to give-way to manned aircraft, and may not interfere with traffic patterns or airport operations. If a drone is interfering with aircraft operations, traffic patterns, or creating a safety hazard, call local law enforcement. Have the law enforcement officer compel the drone to land and obtain the identification information of the operator. Follow-up with a call to the FAA. Airports may prohibit drones from taking off and landing at an airport. Recreational drone, model aircraft, and model rocket operations are not considered aeronautical uses and are not appropriate on airport property. Before permitting commercial drone operations on airport property, conduct a risk analysis to determine if the operation can be safely accommodated with other aviation users. If you choose to allow drone operations at your airport, you should add a remark into the airport Chart Supplement that describes the activity. 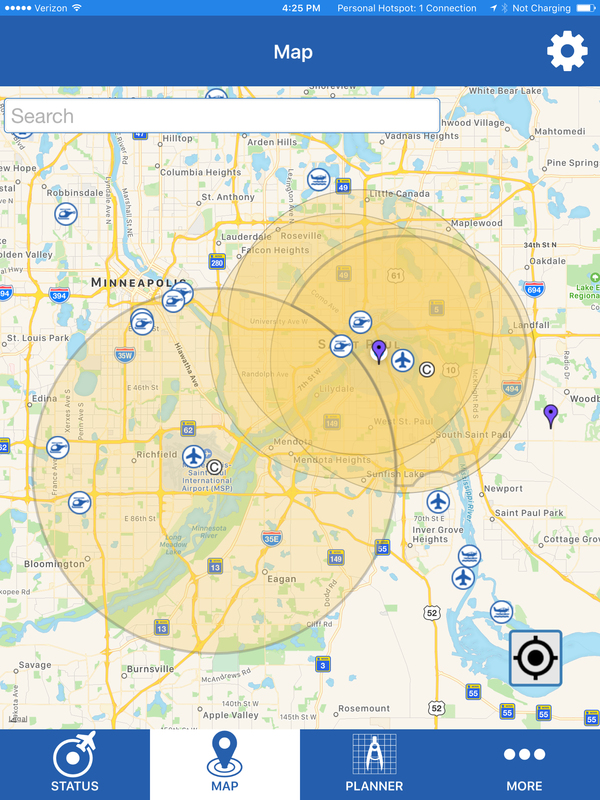 Sign up to receive updates on unmanned aircraft systems news and events in Minnesota.